For young women running on little sleep, 10 minutes of stair walking increased energy more than the amount of caffeine in a soda or half a cup of coffee, according to a small study. This energy boost is relatively short, and overtired workers may need to do a few bouts of exercise throughout the day to keep up energy long term, the researchers write in the journal Physiology and Behavior. “There are many people who are sleep deprived and report low energy. We focused on women because they more frequently report low energy compared to men,” said study coauthor Patrick O’Connor, a professor of kinesiology at the University of Georgia in Athens. To compare the effects of caffeine and exercise on energy level, the study team recruited 18 female college students with average caffeine intake and physical activity levels. The women in the study were also relatively sleep-deprived, with all reporting sleeping 6.5 hours or less per night. Before starting the experiment, the women answered questions assessing their feelings of energy or vigor and their motivation levels. The women also completed cognitive tests measuring their attention, short-term memory and reaction times. Participants then received either a flour-filled placebo pill, a caffeine pill containing 50 mg of caffeine (about equivalent to a soda or half a cup of coffee), or completed a 10-minute stair-walking exercise. After receiving a pill or doing the exercise, the women completed the cognitive tests and questionnaires two more times, 30 minutes and 50 minutes later. The women also rated their feelings of energy a third time, about an hour and 15 minutes after the experiment. The experiment was repeated two more times over three days, to ensure that each woman experienced each experimental condition. The researchers found that women who did 10 minutes of stair-walking reported significantly higher levels of energy than women who took the caffeine equivalent of a can of soda. This effect lessened over time, though, and the caffeine and exercise groups had similar energy levels an hour after the experiment. The interventions did not significantly affect attention, memory, or reaction time. The effect of exercise in this study was fairly short-lived, O’Connor noted, but other studies suggest that multiple short bouts of exercise spread throughout the workday can offer more long-lasting energy, he said. A person’s level of fitness may influence what intensity exercise may be helpful for them, said Namrita Kumar, a researcher who studies exercise and attention at the Georgia Institute of Technology in Atlanta. A person with low fitness may be fatigued by intense exercise, which could work against the positive effects they might get from it, noted Kumar, who was not involved in the study. “For individuals who cannot have or prefer to abstain from caffeine, physical activity throughout the day is sufficient and recommended,” Kumar said by email. 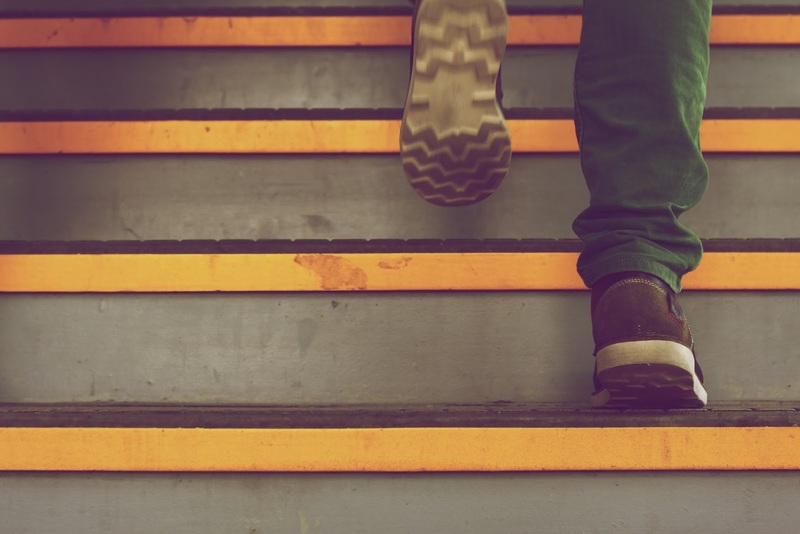 Everyday ways to boost exercise and energy include, “Take the stairs versus the elevator, park in a further parking spot to increase your walking distance, walk or cycle to work or school instead of driving, and take walking breaks,” Kumar said. SOURCE: bit.ly/2pJKxsV Physiology and Behavior, online March 14, 2017. Categories: energy | Tags: energy, exercise, fatigue | Permalink. That makes a lot of sense. Movement really does us good, more than just curbing boredom or getting things done. I learned that recently with all my crazy work habits lately–if you’re active, up and down stairs, and walking around, it’s great. When I’m stuck at my desk a while, even though there’s an IM window usually on the computer, I’d rather write on a post-it and get it to the boss. It’s only about 25 feet, so no biggie.